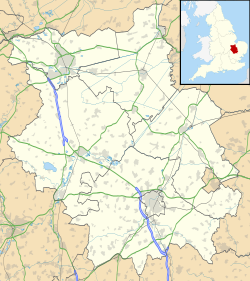 The Queen Katharine Academy (formerly The Voyager Academy and The Voyager School) is a secondary school with academy status in Peterborough in the United Kingdom. The school was formed in 2007 by the amalgamation of Walton Community School and Bretton Woods Community School. The development of The Voyager School began in September 2003 when consultation began on the £100 million transformation of secondary schools in Peterborough. 4 schools were planned for the city and 7 schools would be refurbished or expanded. In 2004, the decision to create these new schools was given the green light, and the decision to close both Walton Community School and Bretton Woods Community School was decided. Both schools were to be merged to form The Voyager School, with £26 million of the investment being poured into the new school. Much consultation occurred between parents, students and members of the public involving the merging of the two schools and whilst at first there were several objections about closures, primarily from Bretton Woods School, many people came around to the idea of this new school. In January 2005, the headteacher of TVS was announced at town hall, Mr Hugh Howe OBE. He would oversee the development and then become the headteacher when the school opened in September 2007. The Head, known for his turn-about of other new and failing schools felt the opportunity was an "exciting new challenge" and was "looking forward to taking up his role". In February 2005, the building contractor for what was known, at the time, as North School was being debated. Out of 3 possible candidates, the city decided on Bouygues Education/Mills group, a French company, well known for its educational building project, to begin construction in March '06. It was in March 2006 that The Voyager School launched its bid to become Peterborough's first Media Arts College. The bid offered local businesses the opportunity of helping the school achieve the £50,000 sponsorship necessary to draw on government funding of £1 million. The Voyager School's uniform was unveiled in June 2006, as students from both schools took to the catwalk to showcase the schools designs. The uniform focuses on the idea of "identity" as well as being in keeping with the approach to the establishment of the school and is characterized by flair, panache and innovation. As both schools began to work together through a series of "Mission Impossible" transition events to promote team building, leadership and innovate skills. The first of these in February '07 was used to create The Voyager School Senior Executive Group (SEG), a new form of student leadership within the school where a group of six students would work to create and manage the leadership scheme of The Voyager with Deputy Headteacher, Jane Mullan. After nearly a year of developing the proposal, The Voyager School finally achieved Media Arts Status in January–February 2007 before it had even opened following a successful application to the Department for Education and Skills. In the summer of 2016, it partnered up with the Thomas Deacon Academy eventually forming the Thomas Deacon Academy Education Trust. In 2017, it announced a name change to Queen Katharine Academy. In September 2007, The Voyager School finally opened its doors to its students and staff, as well as the local community, ready to begin the adventure to go "above and beyond". With an emphasis on student leadership, it was the first school in the city to appoint students to the board of governors. In 2008 the school received its first sets of results. The A-Level results showed good pass rates, but only 23% of students achieved the benchmark of 5 GCSE passes at A*–C including English and mathematics. A report in the Evening Telegraph suggested the school had been given 12 months to improve. However, the school's first Ofsted inspection in November 2008 noted several good features of the school, and stated that the school had created the effective management needed to overcome a legacy of low achievement at the predecessor schools. ^ a b "Our Academy". The Queen Katharine Academy. ^ a b "New name for troubled Peterborough school". Peterborough Telegraph. Peterborough Today. 2017-04-18. Retrieved 2018-03-19. ^ "Bouygue Development Plans". Bouygues UK. Archived from the original on 22 August 2007. ^ "Consultation Begins on Propose £100 Million Transformation Of City's Schools" (Press release). Peterborough City Council. 2003-09-09. ^ "Green light for £100 Million School reorganisation" (Press release). Peterborough City Council. 2004-01-30. ^ "Students Meet New Headteacher" (Press release). Peterborough City Council. 2005-01-28. ^ "Construction Begins on City's new schools" (Press release). Peterborough City Council. 2006-03-14. ^ "Voyagers Media Arts Bid Begins" (Press release). Peterborough City Council. 2006-03-30. ^ "Students take to the catwalk to unveil new Voyager School uniform" (Press release). Peterborough City Council. 2006-06-22. ^ "Voyager students embark on 'mission impossible' leadership challenge" (Press release). Peterborough City Council. 2007-01-30. ^ "Voyager School achieves media arts status" (Press release). Peterborough City Council. 2007-02-01. ^ "Specialist Status Information". The Voyager School. ^ "Voyager Academy taken over by Thomas Deacon Academy Trust". www.peterboroughtoday.co.uk. Peterborough Telegraph. 5 January 2017. Retrieved 8 February 2017. ^ "The Voyager School". GCSE Achievement and attainment tables. Department for Children, Schools and Families. 2008. Archived from the original on 18 October 2009. Retrieved 3 June 2009. ^ Mehta, Asha (2008-08-23). "Struggling Voyager given 12 months to improve". The Evening Telegraph. Retrieved 2009-06-03. ^ The Voyager School, Office for Standards in Education. This page was last edited on 4 December 2018, at 00:41 (UTC).